greenTEG develops, manufactures and markets Swiss Made thermal sensors. The company offers the highest accuracy for heat flux measurements, laser power sensors for R&D and OEM Applications. greenTEG provides the best level in U-value field. greenTEG offers Laser Power detectors and Laser Position Sensors for OEM Applications. 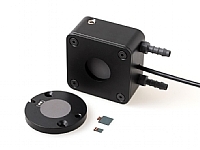 The Thermal Sensing Expert offers also the gSKIN heat flux sensors ,measurements kits and accessories for high-precision measurements in R&D, experiments and OEM applications. With gRAY sensors you can measure with the highest precision your laser’s power and position. By delivering accurate information about the laser power,the gRAY detectors allow you to monitor and control your laser system. gRAY detectors are used in various applications ranging from industry to academic research. 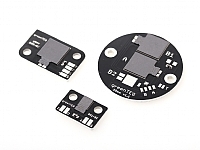 The sensors are available as bare-die components, PCB-mounted, mounted, or housed. The heat flux sensors from greenTEG are the quality measurement tool of choice for many applications in R&D. Core body temperature monitoring for wearable and med-tech applications. The core body temperature (CBT) is an important parameter for accurate assessments of the human body’s state of health. With greenTEG's technology it is possible to measure the core body temperature non-invasively. Thermal Influences in Precision Instruments: Monitoring with gSKIN® Heat Flux Sensors increases the precision within measurement product. Please contact us and we will suggest the ideal heat flux sensor for your application. greenTEG offers 3 measurement kits which include sensors, a data logger and software. The kits enable you to start your measurement within a few minutes. The gSKIN® Heat Flux Kit is the quickest and easiest solution to monitor and analyze heat flux and temperature difference. It is often used in R&D settings. The gO Measurement-System is a cloud-based, wireless system for U-value and is the only system on the market which gives you hard data about the insulation quality of building elements. U-value, R-value, humidity, and surface temperature measurements are made easy with the The gO Measurement-System. The gSKIN® U-Value Kit provides U-Value Measurements. The U-Value describes the insulation quality of a material. It is often used in the field of building physics to describe how well a wall is insulated. greenTEG delivers fast and world wide to solve any thermal sensing challenge.